Thera-Med Headche Band helps relieve migranes, tension and sinus headaches and tooth aches. headache sufferers. 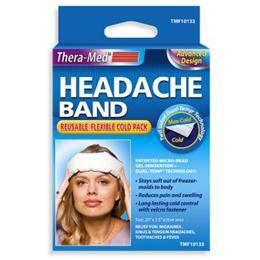 Therefore we suggest using the new and improved Thera-Med Headache Band. A great alternative or complement to narcotic treatment.